Verizon (VZW) Wireless Firmly Commits to VoLTE is BYOC Far Behind? Verizon has become the second USA carrier to really get behind VoLTE as the way voice will be handled on their LTE network following the early lead moves taken by MetroPCS long before they were acquired by T-Mobile earlier this year, reports GigaOm's Kevin Fitchard. As usually, AT&T would rather someone else work out the kinks in the concept, but what's got to be a very bold move is VZW is not going to offer circuit switched fallback, meaning they plan to build out the LTE network across more parts of the USA in order to map their VoLTE coverage to their current 2G voice network. This is also a massive opportunity for OTT and UTF (over the top and under the floor) players as well as those who will be investing into WebRTC and other voice, video and collaboration services as this will mean the network will be stable enough to really support moving voice traffic. Now, here's the hitch. If VZW does what I think they will do, only their own voice traffic will get the benefit of the network architecture, while the OTT players simply get best efforts--but, I think this leads the way to something more impactful down the road. Just as we have BYOD in devices, we'll see BYOC (bring your own carrier) in my view is we will have OPEN ACCESS just like we did at the breakup of the Bell System. That was where your local RBOC had to provide you with access to any LONG DISTANCE carrier of your choice. That sparked nothing but competition and really fueled the growth of the telecom industry. If the FCC, or the DoJ, force, order or cajole the mobile operators into allowing a customer to bring along any compatible voice, video or collaboration provider and they must provide the same quality of service and access to all. If one views spectrum and airwaves as pipe like the telephone networks of old, then the logical arguement is that the LTE spectrum gets approached the same way, because your cell phone remains the only phone network where you can't choose your own voice provider for long distance or international calling as your phone is really locked to the carrier. The "news" is slowing down, but it's clear that WebRTC is heating up. Last night I gathered up a bunch of folks in town for the conference and invited them to a dinner of what I named the "Like Minds Group" here in Atlanta. Companies represented included leading execs from AT&T, Amdocs, Cisco, Google, Hookflash, Magor, Phone.com, Sansay, SimpleSignal, Truphone, Voxbone, Vidtel plus industry luminaries Carl Ford and Dean Bubley. The dinner was deemed a success and will likely lead to an uber-elite weekend summit of the best and brightest in telecom/webrtc/video, collaboration and messaging in November if everyone can shake free that I will likely organize as the interest was very high from those it was floated by. The best demo of the day--Ian Small of TokBox. Hands down the most polished and most market ready. Small showed off a fast way to develop apps that cuts down the time for devs. This would seem to go hand in hand with client Sansay's RAPID developer efforts that were also announced at WebRTC World this week. This is the most important theme--DEVELOPMENT that the show has at its base. Other news came from APEX and Dialogic with a carrier grade plug in solution that includes Google Chrome and Mozilla Firefox browser based participants mixed with SIP soft-clients and streaming video using the WebRTC. In essence its transcoding and media serving further playing off of one of the main themes of interoperability. Watch Toll Free Numbers Change due to Skype/Lync and WebRTC. I'm Going to WebRTC World....Are You? Breaking News--On the second day of WebRTC World in Atlanta, TokBox, now owned by Telefonica Digital, has made some news with a customer service oriented play called OpenTok, reports TechCrunch. This is no surprise, not from them, or the category that TokBox is attacking, as customer service with chat boxes tied to web pages are already being plentifully deployed so the natural progression of chat to voice and video is no big strecth, and with WebRTC now in two of the top three most used browsers, regardless of standards, the market is clearly there. What is also not surprising is that Telefonica Digital is doing this as one part of their new efforts. Parent Telefonica is sucking wind in Spain, rumored to be selling off their mobile operations in Ireland and other non Spanish, non-LATAM countries. The mounting losses in Spain, defections to other carriers due to a declining economy are forcing the telecom giant to start to amass cash to fend off American Moviles expansion efforts in South America, the other part of the world where Telefonica has massive business interests. But with other efforts like Telefonica Digital happening with AT&T Foundry, Vodafone R&D, Verizon's Innovation Centers, Orange Labs one has to look down the road and over the horizon to see that eventually some standard and uniformaity will need to occur. My view is that these "labs" will be spun out of the parent and a new company started combining the best ideas, people and opportunities, serving as a Bell Labs of the 21st century. That though is good 5-10 years off. So WebRTC World opened yesterday and it was a developer's dream event. The day brought back memories of the old days, when TMC and others organized developer conferences, and where new companies showed off their dreams, established companies told us how they were going to change, and how the outsiders figured out to how to make money. Phil Endholm's opening talk was on point, and Dean Bubley made sure to help set the stage for where the market is heading. As usual, and like any sharp analyst, Dean brought shape, form and structure towards an emerging market. What I walked away with most of all is the feeling that as a community there's an aire about things that WebRTC is first and foremost going to kill the softphone business hands down. What we're seeing in the browser today, even rough and still to be made pretty, combined what's being put into the cloud, and in the networks says to me, that softphones as apps on PC's are done. They're cooked. Stewed. Over. Put a fork in them. If you're in the softphone business, focus on iOS and Androids while shifting your efforts to WebRTC, and be ready when the standards hit in a year or so. I say this because for the most part softphones are not easy to work with, set up or manage unless you're an IT guy. My staff, which is very tech savvy, hates them. Skype, is simple, the rest are not. 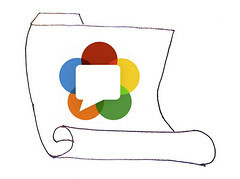 Next is the WebRTC browser and already there we're seeing just how simple it is to use. But to be ready for prime time we need to see Google and Firefox get rid of the stupid ALLOW/DENY setting once someone is happy using a service. More importantly, the services all need to do a better job with identity and management of multiple accounts. Even UberConference, which I totally love to use, has issues with multiple identities and accounts, and that needs to change. Just like GrandCentral gave you one number to ring many, UberConference and others need to give you one single sign on and manage many different identities, all in one place. That way, a customer with multiple accounts can manage their online communications life in one place. Single sign on, multiple accounts. That is something that the CounterPath Bria softclient does today, but no one is doing that yet (that I have seen) in WebRTC. Right now, it's all one username, one account, one browser window. Sorry, but I I for one don't want multiple windows with multiple accounts on the same service to be running. Next is the infrastructure, the cloud and the networks. Can you say PANCAKED. WebRTC will lead to a flattening of the infrastructure, where technology from the NEPS converge into the cloud. It's one thing to sell a media server to be put in a data closet or data center, but what's going to change will be more along the lines of getting it all the backend and in the middle services in one place, or managing the different pieces and parts in one combined storage and compute cloud environment. That is exactly where Intel and Dell backed Joyent is heading in a parallel way with Manta, similar to what client Sansay is doing already, and what Oracle is likely up to with their cloud and recent Acme Packet acquisition along with Tekelec. Lastly my favorite discoveries at day one came from the DEMO like event. Pubnub and Tawk showed great examples of what is going on. Pubnub is about datafeeds, data sockets and multicasting to WebRTC and more and had Ondello showing off at their booth how it can be best used, effortlessly. Tawk was a plain dead simple approach to group video conferencing in the browser. Temasys, though clearly plagued by a technical issue, is onto something with their efforts, showing a multi-location, satellite uplink and downlink that looked awesome, while Teledini showed some really good mashup imagination at work. The big news of the day comes from TechCrunch which is reporting that Firefox 22 now has WebRTC in it , and with the release, it becomes the first stable version of the popular browser that supports the WebRTC protocol. In looking at the update the very first item is WebRTC, clearly showing that the developers are playing into the hype cycle that is here in place. The by default enablement means no one needs to do any special "settings" changes to invoke a WebRTC session. This makes Firefox now competitive with Google's Chrome as the battle for WebRTC eyeballs. The Next Web also offers coverage, but they seem to think its all about video. Findings of the survey may surprise some within the industry who made early predictions that videoconferencing and contact center communications would be the primary points of adoption for WebRTC. Instead, 37.7 percent of those surveyed said that WebRTC offers a broader benefit to unified communications solutions. Further, more than 35 percent of respondents agreed that WebRTC will make a more immediate breakthrough in the education market as opposed to the enterprise. And unlike many industry initiatives that can take up to ten years to mature, 49 percent of respondents intend to deploy a WebRTC solution within the next 12 months. As I wing it towards Atlanta I had a chance to do a quick read of the news that's coming out on the subject of WebRTC. As I mentioned earlier in the week, there will be lots of news announcements coming out surrounding the WebRTC World Conference being held this week there. As expected most of news is about new offerings, new providers and some very important announcements about interoperability, scalability, reliability and development efforts. Make no mistake about this. The bigger and more established firms in the space like Genband, Sansay, Acme Packet and Voxeo are all taking WebRTC very seriously, and making moves to be front and center in this emerging area of real time communications. If anything, the lack of a standard will mean greater need for APIs, intergration and interop capabilities, so this is another time where I wish long time pal, Carl Ford, would resume those interop labs of old from the VON conference era. But, I digress. So here's the news for today, on WebRTC---Early Edition. 1. Client, and long time in the cloud, software based SansayTM Inc. makes news with a next-generation session border controller (SBC) and their RAPID developer program designed to help telcos, VoIP providers, developers, mobile operators and other companies target that growing customer base to more quickly be creating enterprise- and carrier-grade WebRTC applications and services that can go to market immediately. Access to the RAPID preview is available now at developer.sansay.com. Developers also can request access to the WebSBC cloud for app testing, which will ensure a high-quality user experience for their customers from the very first day of deployment. This is very important because with over 350 actual service providers, telcos, contact/call centers and others using Sansay, their ability to make interoperability really happen is key. Sansay is known as the experts here, and their customers constantly tell us just how great their team is at solving the "other guys" problems faster. The start of a Developer Program with Rapid is also important as Sansay's team recognizes the telecom world is not standing still. Sansay's team will be on site at WebRTC World this week. 2. Bistiri, who claims to be the first Open Video Chat Platform for WebRTC. has created a WebRTC API and here again, integration and the developers are the key. They chose to work wih 3scale to reach into the dev community who want to include Video Calling, Video Conferencing, Screen Sharing, and Data Channels. By working with 3Scale Bistiri can launch and manage their APIs faster to a network of developers. The key is finding the right devs, not just a massive number though, who know where and how to deploy, manage and actually monitize a service. 3. PubNub, the globally distributed Real-Time Network, released the PubNub WebRTC SDK to deliver rich collaboration solutions. This is already being deployed by Ondello, a company that lets you brand your own WebRTC conferencing and calling suite. My quick view this morning of Ondello reminded me of UberConference the first WebRTC player to commercially deploy, and the brainchild of pal Craig Walker of GrandCentral fame. Ondello gives you a custom branded meeting room, has a simple and fast sign up, and lets you quickly socialize it to get to more people, more quickly. 4. Voxeo Labs, which is the kitchen for Voxeo when it comes to APIs, is touting the release of the 2nd edition of “WebRTC: APIs and RTCWEB Protocols of the HTML5 Real-Time Web”. Authored by Voxeo Labs Chief Scientist, Dr. Daniel Burnett, and Dr. Alan Johnston the new edition will be available from Amazon in paperback and digital formats, and contains the latest updates on the W3C and IETF documents for the emerging WebRTC standard. These are primers for developers, and serve to provide deep background as well as helpful tips to write better apps. Of course, this is also aimed to get the devs working with Voxeo, but they are one of the more reliable players in the telecom sector. 5. BrowseTel.com is promising to simplify your communications system with their service that rides on Google infrastructure. 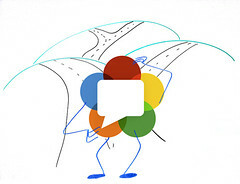 Their approach is to connecting an individual or company's multichannel presence, by delivering contact center services over multiple platforms by connecting voice, video and data messages through a browser based webphone, eventually device agnostic once WebRTC is available on more than Chrome and the nightly builds of Firefox. The folks there "envision" WebRTC being a part of the contact center experience, something I agree on. With WebRTC World this week in Atlanta, a flurry of news is coming out today and likely through the week. Here are some of them...so far seem to be on the track of interoperability between the old and the new, which is a key component for today and the near term, with the SIP trunking efforts from FreeSwitch and Flowroute being the most "make it work now" of the bunch from today. AudioCodes announced OPUS support for its 400HD series of IP phones. With this enhancement, AudioCodes can facilitate HD real-time communication between WebRTC services and SIP-based Contact Centers and Unified Communications (UC) solutions. Client Flowroute and Freeswitch are working together to enable SIP trunking to work freely with WebRTC. Flowroute's SIP trunking service means there will be true interoperability between WebRTC endpoints, and the most widely used of all telephony networks, the PSTN. Radisys announced new voice processing technology to help make sure calls sound and look correct between mobile, WebRTC and the PSTN. They seem to be working at the media layer to insure interoperabolity. What a very pleasant surprise. Wi-Fi connectivity on my Virgin Atlantic flight to Washington D.C. from London on a new Airbus 330. What a joy it was to see the Cabin Connect insert inside the seat side compartment. And, even more of a joy, it's working before we get to the USA territory. Am I stoked. It has been years since the old Boeing Connexion service was around on Lufthansa and a few other airlines, and while at 15 pounds for unlimited time, and only 40 megs of data. I love the idea of "staying connected" in the air on what will be an 8 hour flight. So far I can surf the web, get my email and Facebook. I also am connected via Skype for text, but there's no voice connectivity, nor are any of my SIP accounts working. Now this makes my choice of flights, airlines and aircraft, as well as routes a wee bit more interesting. Spotted---You can call Obi devices with webrtc now, but the set up seems to be challenging some die hards. Bascially, because it's SIP based the Obi devices can route calls to any SIP endpoint and vice versa. By creating a simple Chome widget the really intelligent folks behind Obi have come up with a way to make their devices, and thus the phones connected to them more accessible. Think of Chrome being the softphone. Since they also have Android and iOS apps, I'm wondering if the apps become reachable from Chrome to a mobile device. OTT with WebRTC is getting very interesting. What exactly WebRTC will disrupt? Marriott: Seriously. Who Wants To Travel Stupidly? I'm a frequent traveler and a long time Marriott hotel guest, dating back to 1974 when my very first office was inside the long demolished City Line Avenue Marriott in Philadelphia. So when I read that Marriott was rebranding I was all gooy inside, feeling nostalgic, thinking back to the days of orange ice cream, Thousand Island dressing on my salad, and a counter seat looking at the grill, or a poolside view of bikini clad ladies during those hot summer days while at ag 14 I learned the art of media relations from one of the best in the business, the late Sy Roseman. riously, who wants to travel stupidly? More importantly, brand is not about image, icon, logo or tagline. It's about a top to bottom, through the middle, perceptual and public understanding about what makes the business be seen by other for what it is. If that's rebranding versus an identity and image makeover, then every property in the chain, near and far would have IMMEDIATELY the same TV sets in the room. Guests would discover the EXACT same clock radios and phones on every nightstand, the identical SSID for WiFi at every property. Each hotel would have exactly the same authentication router, and the bandwidth coming to a hotel would be exactly the same, with the same experince at each and every property--THE WORLD OVER. Properties would be ALL BOINGO, or NO BOINGO--Everywhere. iBahn would be managing all your properties, or NONE of your properties. The in room experience of Ethernet jacks and power plug would be EVERYWHERE or NOWHERE, and all this would not be done one hotel at a time over a three year period, but done OVERNIGHT, where crews come in with the NEW branded hardware, bedroom kits and technology and it's all deployed AT THE SAME TIME. This means all of your signage, all of your letterhead, all of your stationary, all of your uniforms would be the same--AT THE SAME TIME. But more importantly, all of your people would be thinking and acting BRILLIANTLY, and that's the hardest thing to do, to get them all to the same level of BRILLIANT. Come on Marriott, you serve Starbucks Coffee, and they are all about BRAND.....from package to store locations and everything in between--right down to the same consistently over roasted beans, lovingly poured into each and every cup. So Bill Marriott and family, if "Travel Brilliantly" is your idea of appealing to the hipster, younger, more youthful generation, then maybe, you need to smarten up, because why would anyone really want to travel stupidly? P.S. When Apple did their famed "Think DIfferent" campaign to mark the debut of the iMac and the return of Steve Jobs, don't you think they could have said "think brilliant" too. Instead they shifted the minds of many to go to a "different" place.